The PNG LNG project still has more to offer the country and its people, according to Senior Vice President of ExxonMobil Neil Chapman. Mr Chapman said this during his statement at the APEC CEOs Summit over the weekend. “Over time, this project will make a very significant contribution to the economy and the people of PNG,’’ he said. 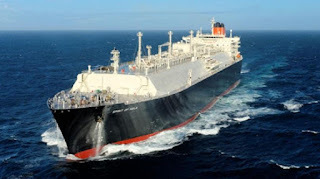 He said 19-billion-dollar PNG LNG project ExxonMobil operates along with its partners – Oil Search Limited, Kumul Petroleum, Santos, JX Nippon and MRDC is the largest private investment in PNG history. An investment he said was beyond the figures but more toward building skilled Papua New Guineans. “We’re investing in PNG’s future. More than 80 per cent of the current workforce are nationals of Papua New Guinea, and we’re proud to be laying the employment foundation for future generations,’’ he said. “The economic benefits don’t stop there. Since 2010, the project has spent more than $5 billion on services provided by local companies. Mr Chapman said the benefits for marjets throughout Asia demands reliable sources of natural gas from PNG join those coming from Australia, Qatar, other LNG producers. “Every shipload of LNG that sails from Port Moresby represents opportunity and enhanced energy security for the dynamic economies of this region,” he said.